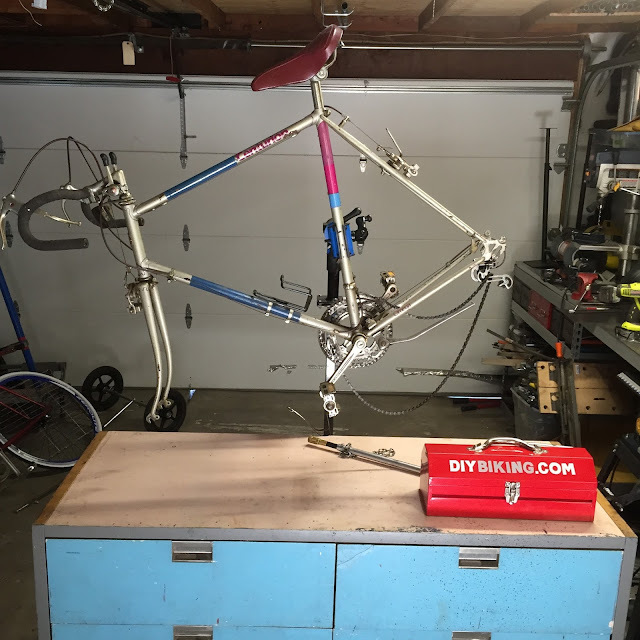 DIY Biking | How bike builds, bike travel and bike life can save the world: Breaking: Today a Spare the Air Day & Good Karma Bikes is Open Sundays Again! Breaking: Today a Spare the Air Day & Good Karma Bikes is Open Sundays Again! Yesterday I learned that Good Karma Bikes is open again on Sundays. That means they are open TODAY from 11:00am to 3:00pm at 345 Sunol St. in San Jose. 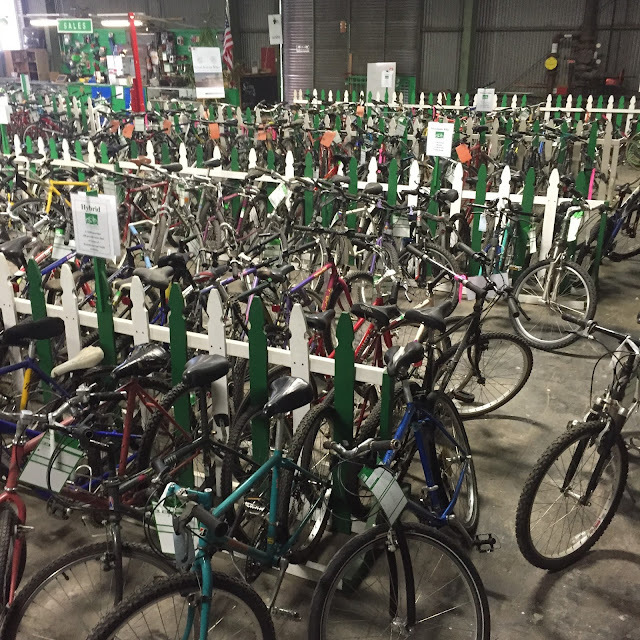 They still have a lot of inventory they need to sell before they move in November, so even though anytime is a great time to buy a bike if you live in Silicon Valley now is an even greater time. I also learned from Kron 4 News that today is a Spare the Air day (the Bay Area is once again at the start of a heat wave that has triggered an air quality alert). So hopefully readers whose recently consumed coffee is starting to kick in will put two and two together and decide not to pay lip service on Spare the Air day. 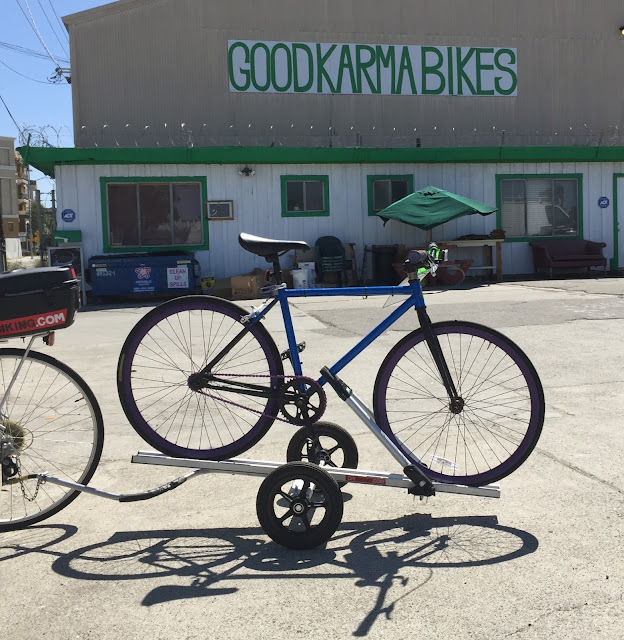 Remember Good Karma Bikes has a lot of great and ready to ride bikes to choose from as well as a few ‘as-is’ bikes and naked frames/blank canvases available. I’m also pleased to report to readers who have been patiently waiting for another build post that I bought an ‘as-is’ bike from Good Karma Bikes and this week will produce a follow-up to Unleash the Hipster Within and show you how to build a fixie. I have the frame and the fixed gear wheels but understand the beard and vintage clothing are extra. So go to 345 Sunol St. today from 11:00 to 3:00 and buy the bike you’ve always wanted…or if you’re me buy a frame and build the bike you’ve always been curious about. And while you're there ask how to become a volunteer at Good Karma Bikes and be absolutely sure that you Like Good Karma Bikes on Facebook. Remember the Thirteen Words and stay cool today. Thanks for reading and thanks for riding.